The event is closed for registrations. African Birdlife Magazine complies with POPIA. POPIA refers to South Africa's Protection of Personal Information Act which seeks to regulate the Processing of Personal Information. POPIA promotes transparency with regard to what information is collected for and how it is to be processed. POPIA compliance involves capturing the minimum required data, ensuring accuracy, security and removing data that is no longer required. Compliance demands identifying Personal Information and taking reasonable measures to protect the data. This will likely reduce the risk of data breaches and the associated public relations and legal ramifications for the organisation. 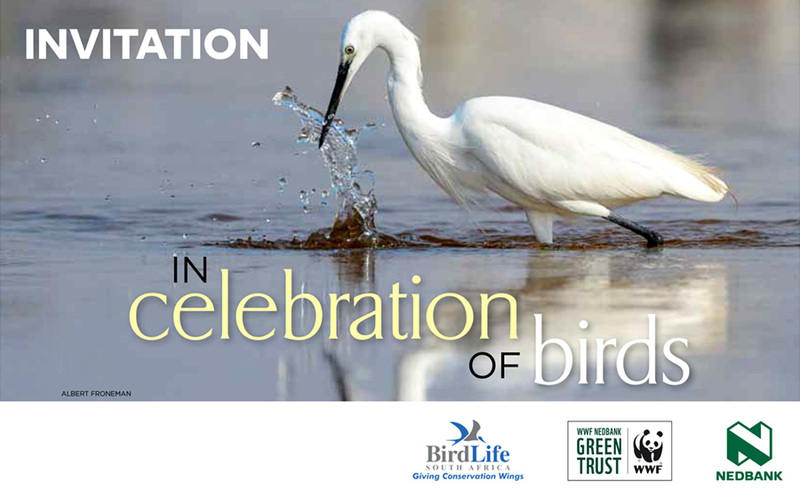 By responding to the email invitation, and registering for our event, you acknowledge permission regarding communication from African Birdlife Magazine via email and SMS.